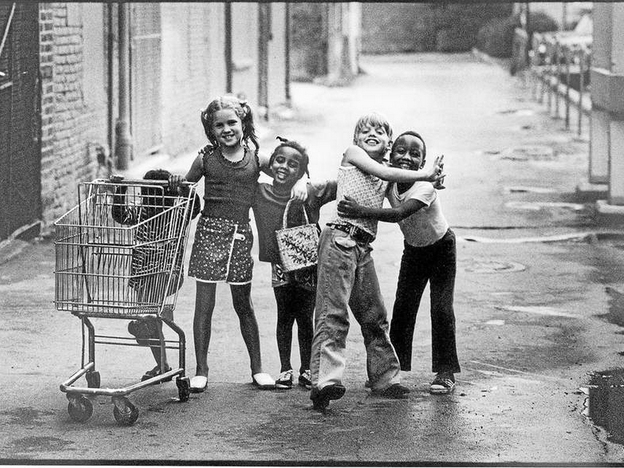 This iconic photograph of children playing in Detroit should remind us all that we are one. The flag that divides us should not fly on public property. First a painful truth: the Confederate flag flies all around the South. I’ve seen it in Jackson, Miss. and in Selma, Birmingham and Montgomery, where black people — and the white people who helped them — were beaten and murdered for trying to fulfill their humanity and gain equal protection under the law. Here in Georgia we see the flag on porches, at places of business and on the license plate of a car that seems to be following you way too closely. Now the debate about the flag is focused on South Carolina, where a 21-year-old man pictured with the Confederate flag killed nine people in a Charleston church two weeks ago and admitted he did so because he hated African-Americans. The pastor of that church, Clementa Pinckney, was among those slaughtered. He served in the South Carolina state legislature, the very body that will take up the flag issue next week. The Civil War may have ended 150 years ago, but this battle over the Confederate Flag rages on. For me, the flag represents oppression and hatred. I get a sick feeling in my stomach whenever i encounter it. My mind goes back to a time when black people were killed just for being black. Earlier this week I asked Rev. C.T. Vivian about the Confederate flag and the burning of black churches throughout the South in recent weeks. Vivian, who turns 90 this month, fought for voting rights in Selma. As a young pastor and divinity student in Nashville, he took part in the Nashville Student Movement and the Freedom Rides in the early 1960s. In 2013, President Barack Obama awarded Vivian with the Presidential Medal of Freedom. As Dr. Vivian noted, the flag is deeply engrained in Southern culture. I’ll never forget the first time I saw the flag outside of my workplace. It was 1989 and I’d moved from St. Petersburg, Fla. to take a reporting job in Atlanta. When I walked into the newsroom, I asked why the Confederate flag was flying outside my new workplace. It’s part of the Georgia state flag, a colleague said. 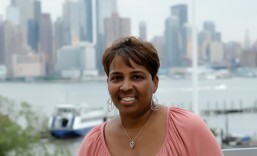 And here I thought I was moving to “the city too busy to hate.” The black Mecca. The cradle of the Civil Rights Movement. Welcome to Georgia, where every other neighborhood has “Plantation” in its name and there is an entire museum dedicated to revisionist history. It would be years before the Confederate emblem was removed from Georgia’s state flag. It was a bruising battle that ultimately came down to economics and image. In the South, you see, one of the justifications for slavery is that it was an economic institution. The Rev. Joseph Lowery often speaks about how Southern culture and ideals come into play with current day issues, such as the need to appoint more black judges in Georgia. Much of the resistance stems from the refusal of some state legislators to let go of the past, he contends. “They are still fighting the Civil War,” said Lowery, who in 2009 was awarded the Presidential Medal of Freedom for his work in civil and human rights. So display the Confederate flag if you choose. But do so with the knowledge of the hurt and pain it brings to many Americans who helped build this country. But it should no longer be displayed on public property. Let’s honor the nine men and women who died at Emanuel AME Church in Charleston. Take down that flag.